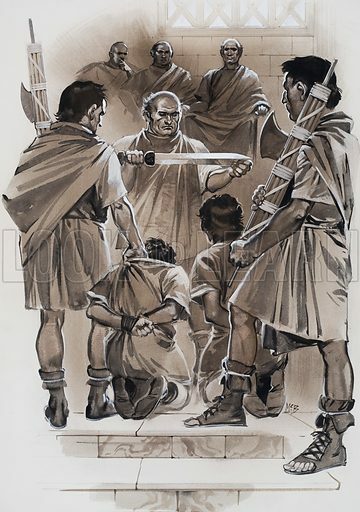 Brutus watched unflinchingly from his seat on the high tribunal as his two sons, who had been guilty of taking part in a conspiracy, were beheaded in front of him. Original artwork for the illustration on pp2-3 of L&L no. 616 (3 November 1973). Available worldwide for immediate download up to 3,352 x 4,773 pixels.